The Chief Justice said that Justice D.Y. Chandrachud "demonstrated a greater sensitivity to the issues of privacy and freedom that is not as evident in the judgments of the other judges who delivered concurring judgments". The Supreme Court of Jamaica has extensively followed Justice D.Y. Chandrachud’s dissenting opinion in the Aadhaar judgement to declare that its National Identification and Registration Act is unconstitutional, null, void and of no legal effect. The Government of Jamaica had developed a National Identification System (NIDS), to provide a ‘comprehensive and secure structure to enable the capture and storage of personal identity information for citizens and persons ordinarily resident in Jamaica.’ The National Identification and Registration Act was enacted in 2017, though had not yet brought into force. Julian Jay Robinson, a member of parliament and general secretary of the People’s National Party, which forms the opposition in the Jamaican parliament, had approached the Supreme Court, challenging the Act. The full court, comprising Chief Justice Bryan Sykes, Justice David Batts and Justice Lisa Palmer Hamilton, which heard the challenge against an Aadhaar-like biometric scheme in Jamaica, wrote separate judgments holding the Act unconstitutional, thereby striking down National Identification System [NIDS]. Both the Chief Justice and Justice Batts quoted extensively from the Aadhaar judgment delivered by the Constitution bench of the Supreme Court of India, particularly endorsing the dissenting opinion delivered by Justice Chandrachud in the case. 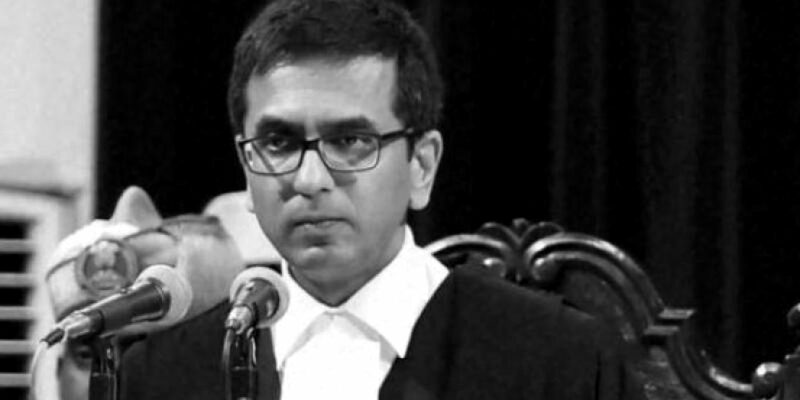 “Notwithstanding the far-reaching decision of the majority (a detailed summary of which is at paragraphs 446 to 448 of the majority judgment), I am inclined towards the view of Dr Dhananjaya Y Chandrachud J in his dissenting judgment. That learned Judge recognised that technology has caused our institutions of governance to face new challenges. The Constitution of India, unlike ours, has no express statement of the right to privacy. Their Judges implied the right. Also, unlike ours, their Constitution allows for “fair just and reasonable” exceptions to the rights guaranteed. These differences notwithstanding, the decision of the majority as well as the reasoning of the minority, are of great assistance and relevance. I respectfully wish to adopt as my own, the learned Judge summarised the overall constitutional failings of the Aadhaar scheme. The Compulsory taking of biographical and biometric data is a violation of privacy rights under the Jamaican Charter. It enables third-party access to the database without adequate safeguards against misuse and abuse by the third party. In addition, no justification has been advanced showing why third parties need to have access to the database. Mandatory legal obligation by Jamaican and ordinary residents to produce a NIN or NIC when seeking to access goods and services from public bodies while not placing the same legal obligation on foreigners to produce some form of identification amounts to unequal treatment. Furthermore, the statute seeks to prevent access to services both public and private, or to make possible the denial of such services, to citizens who fail to obtain the said national identification. There is further no, or no adequate, mechanism to prevent the utilisation of the data obtained for other purposes such as the creation of profiles. The danger of a “big brother state” or as the Supreme Court of India called it, a “surveillance state” is real. The wide-ranging provisions for information sharing and verification, as well as identity confirmation by the public and private sector, adds to that reality. Policymakers and social scientists should, if they have not already done so, consider the manner in which policies of control reminiscent of the plantation impact the trust level between citizen and state. They may find that programmes, which liberate not restrict and which uplift not suppress, do more to repair existing deficits of trust. Those are, however, matters for the policymaker not the judge. I, therefore, end this judgment, as I began, with words which that icon of reggae music addressed to us all: “Emancipate yourself from mental slavery, none but ourselves, can free our minds”.